Feed water derived from springs, bore well and any other natural source contains impurities of various kind. We at GIECL understand the necessity of pure and healthy water and our Micron Cartridge Filters are designed to address this very crucial need. 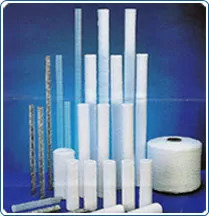 We being the pioneers in the field of water treatment and purification, have developed a wide variety of filters ranging from Micron Cartridge Filters to Media Filters, Softening Filters, Spring Water Filtration and we even provide Swimming Pool Filtration units. These are highly instrumental in providing absolutely clean water for various kinds of consumption. Each of these mineral water filters are designed to remove the minutest of impurities and contaminants from not only water but any free-flowing liquid. At GIECL, quality is our utmost priority and we go to great extents to provide the very best to our customers. Our Micron Cartridge Filters are a proof of our advanced technology in water purification. They are one of the best in the business and provide in depth filtration which is agreeably the most accurate method to remove micro contaminants from water. Our mineral water filters are constructed using polypropylene material and the outer structure is made of the best quality S.S. 316L. With single and double open end system, our filtration systems can cleanse water at great speed. In spite of their efficiency and complicated technology, GIECL's mineral water filters are durable, long lasting and user-friendly. They can be installed effortlessly and can start working without any further delay. At GIECL, we are recognized for the best quality filters that strain out contaminants with a diameter as little microns as possible. 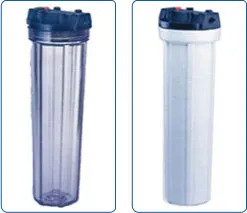 Keeping up with our motto of making pure and healthy water available to the masses, we have designed our Micron Cartridge Filters in different capacities. This way we are able to cater to clients of varied requirements.